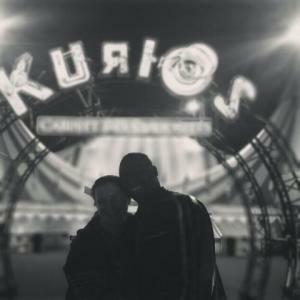 Are you Kurios for a New Cirque du Soleil Show? It is so much fun to go to the circus. 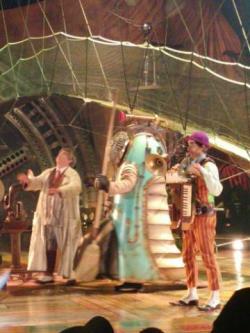 Cirque du Soleil is now presenting Kurious - Cabinet of Curiosities here in our local area. Winning the tickets on the Seattle Southside Facebook page was such a treat. I felt like a kid again because going to the circus has always been a childhood dream of mine. The event is located in Redmond’s Marymoor Park, a park large enough to set up a huge real life circus tent. It was so exciting to see it in person!!! Walking in to the tent you feel as if you&apos;ve entered a new world. It was so busy and chaotic and filled with people and booths to buy food, drinks and all the souvenirs you could possibly dream of. Entering the big top just upped my excitement and anticipation. We got there right when they opened up the tent and found our seats easily. Seated one row from the back we were content and ready to enjoy the show since the view is enjoyable from most seats. Much to my surprise, an usher stopped by to ask if we were the only guests in our party. He then offered us a seat with a better view, only 4 rows from the front! We happily moved but I became a little nervous knowing that Cirque du Soleil shows often include crowd involvement and I am rather shy. 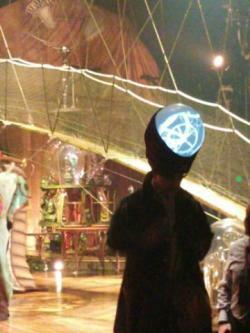 I began to wonder if this was part of a plan for the performers to interact with us. The characters in the show did interact with the crowd and it was fun but luckily for me, the usher did not move us for that reason, he truly wanted us to enjoy our show. · Private restrooms, a terrace and a coat check service. 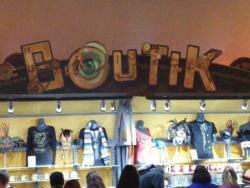 Or even better you could purchase back stage access to the show for a whole new spin on the experience. The show itself was action packed and full of excitement and humor. We could not stop laughing and were amazed with all the different acts that flowed together flawlessly. It kept you guessing, laughing and in awe the entire time. My husband and I loved it and can’t wait to go back with our children. It was the best live performance we have ever seen. Be ready for a whole lot of fun. On our walk back to the car my husband and I just quietly listened to all the chatter around us. All we heard was how pleased everyone was and how it was money well spent. So please go have fun at the circus!! !